This training note examines the importance of maintaining connection when receiving ukemi, from both a safety and self-defence perspective. 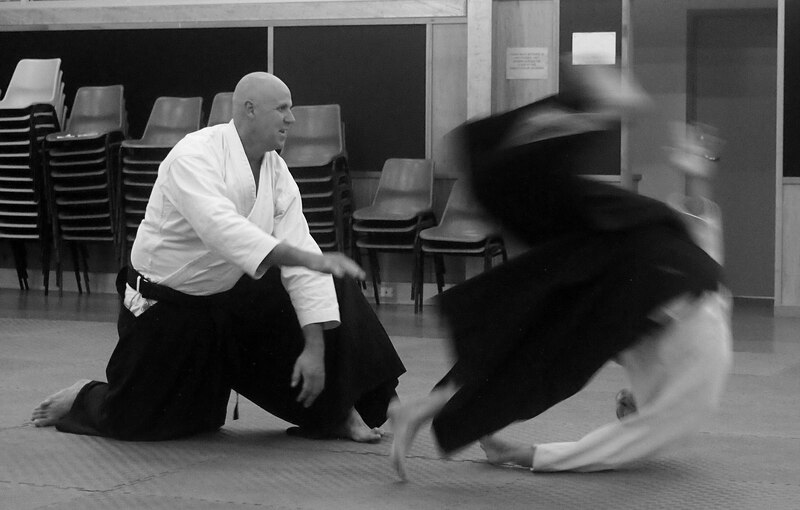 The video extract is from a class given by Peter Kelly Sensei (7th Dan Aikido Yuishinkai) at the Aikido Warrior Dojo, Brisbane, on 17 May 2014. Ukemi practice and the development of high level ukemi skills are an important part of Aikido Yuishinkai. In this video, Peter Sensei highlights the self-defence folly of adopting a “runaway” ukemi approach where the uke ceases to look at the nage throughout the receiving of the technique and subsequent ukemi.